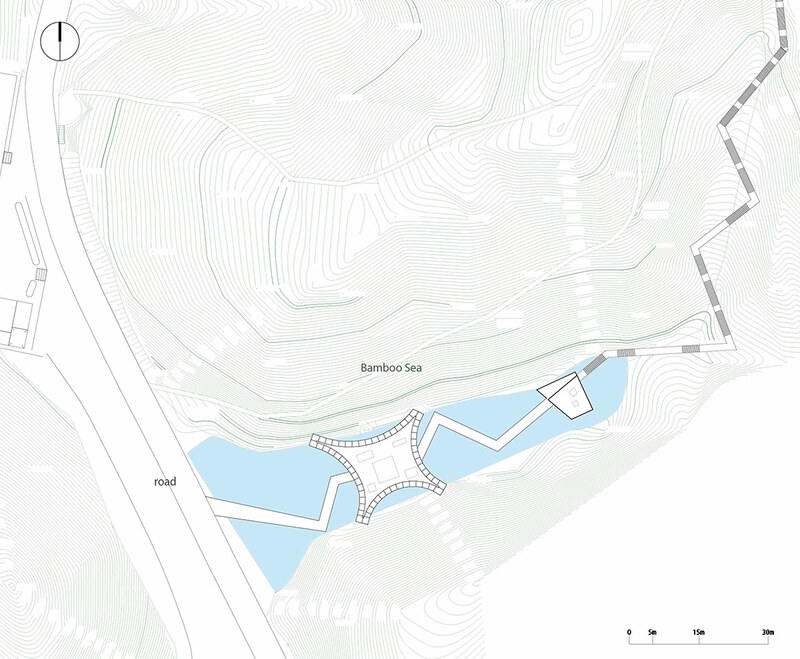 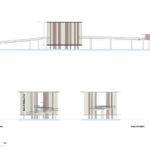 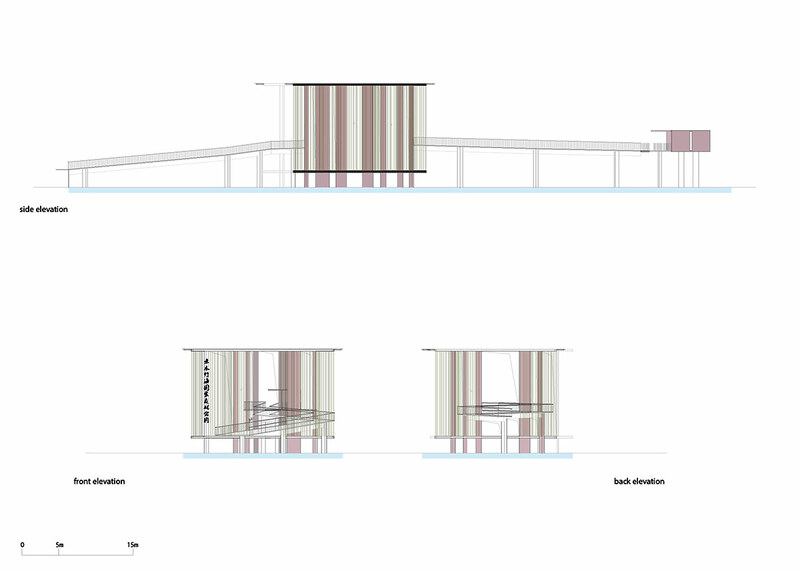 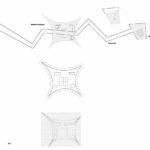 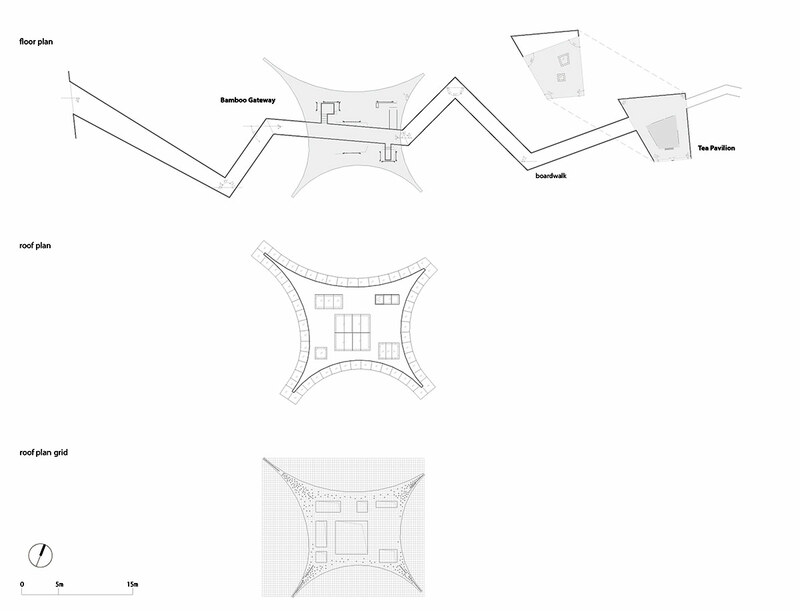 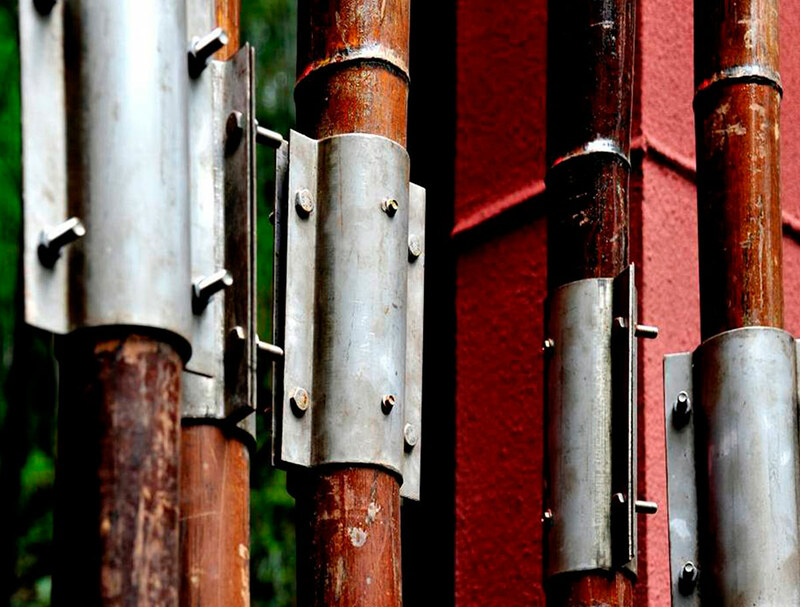 The park gateway has been designed by West-line studio architects as a dense assembly of vertical lines. 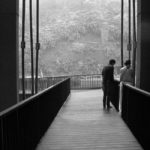 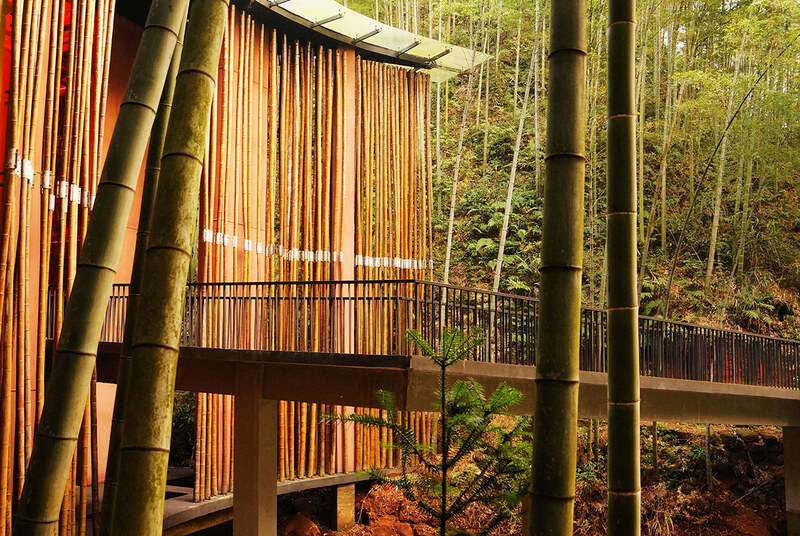 The gate is hidden in the Bamboo Sea and interacts with the particular weather conditions of the area (sun, thick fog, rain, wind, and snow) which make the architecture unstable and flexible. 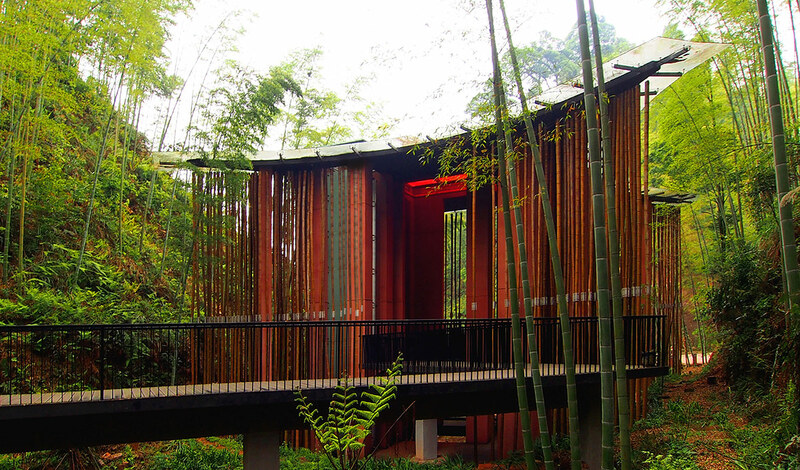 The Zhuhai National Park (赤水竹海国家森林公园) is located in the region of Chishui, in Guizhou province, in South-West China. 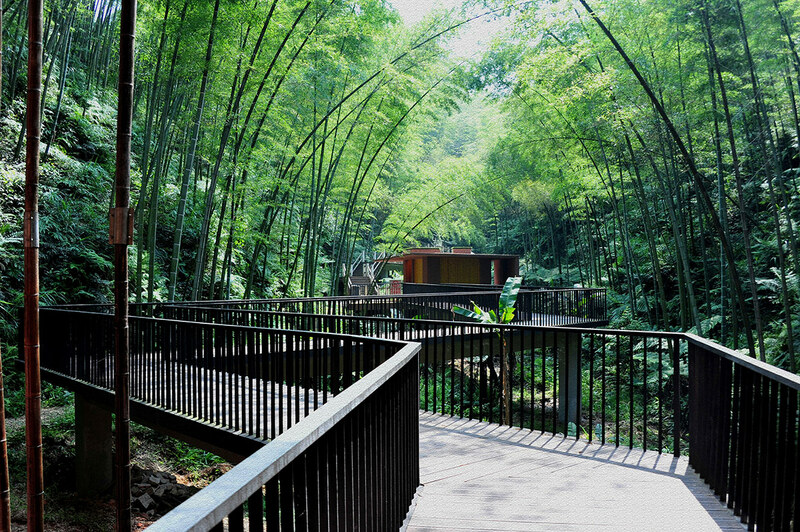 The 10,000 hectares park is characterized by the unique presence of the so-called Bamboo Sea (竹海). 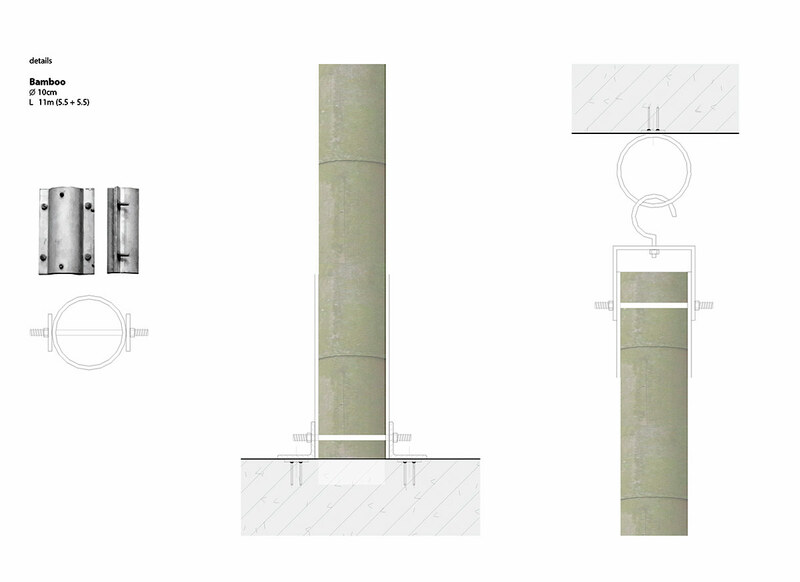 The park gateway has been designed by West-line studio architects as a dense assembly of vertical lines. 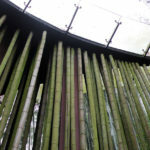 The gate is hidden in the Bamboo Sea and interacts with the particular weather conditions of the area (sun, thick fog, rain, wind, and snow) which make the architecture unstable and flexible. 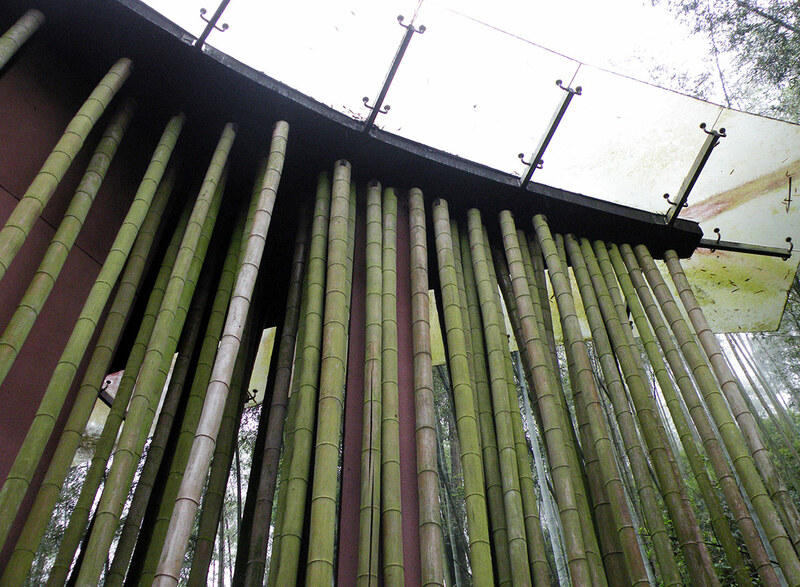 The gate aims to ‘activate’ the bamboo being at the same time hidden in the forest but also creating an iconic entrance to the park. 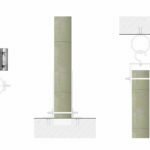 The support system is made of concrete with bamboo (10cm diameter – 11m length) hung on the roof. 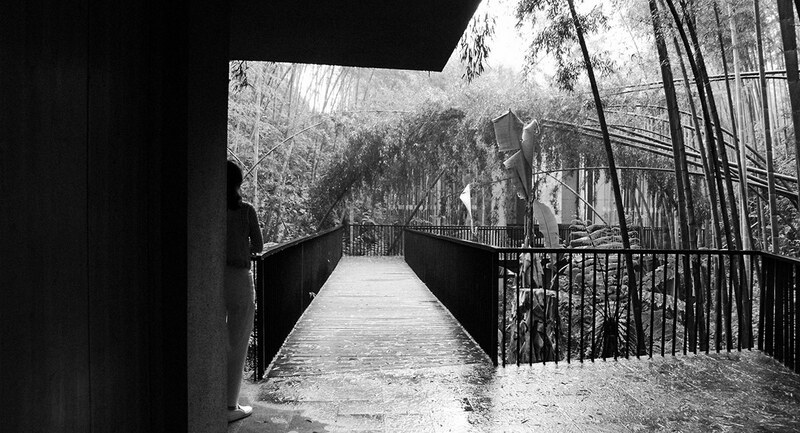 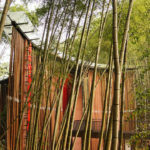 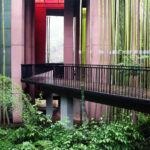 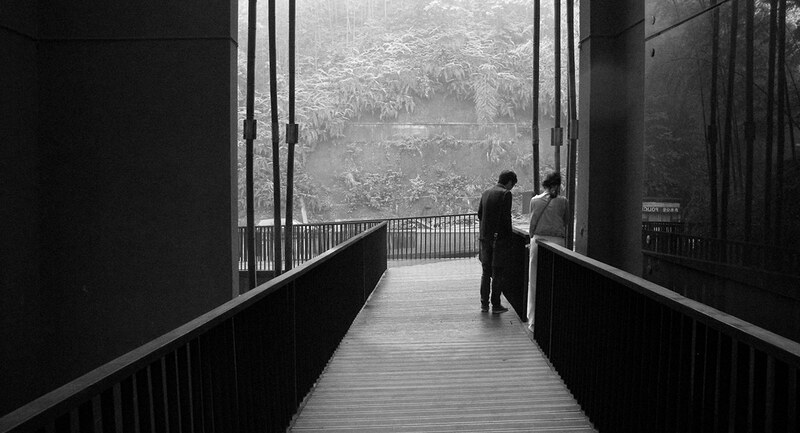 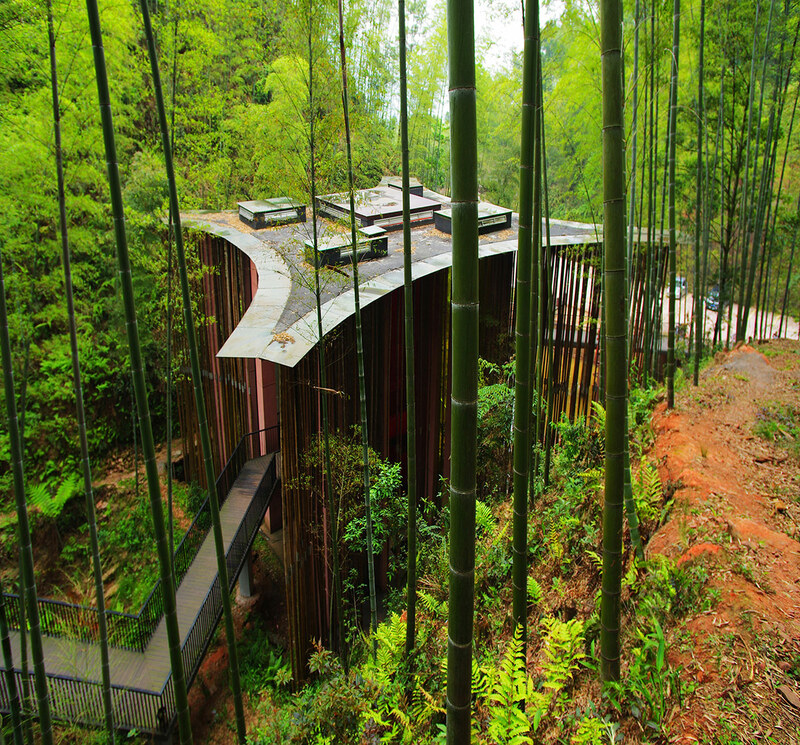 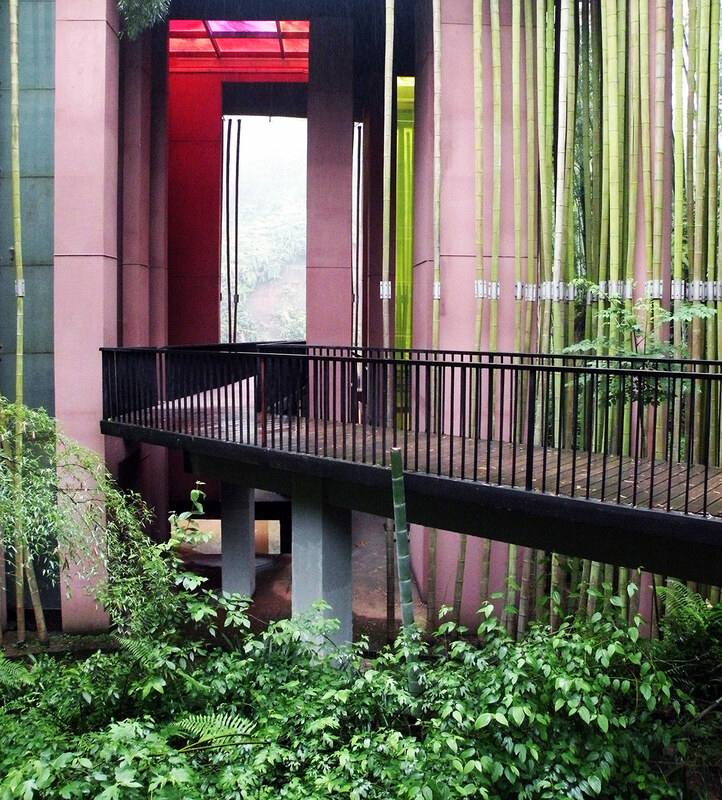 Even with the presence of the glass roof, which protects the bamboo from rain, architects had to deal with problems of high humidity and fluctuations in temperature, which characterize the area of Chishui. 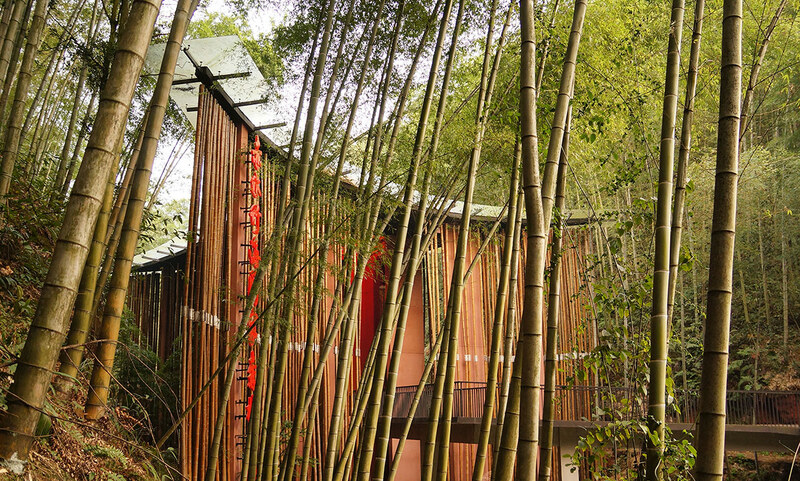 Because of the presence of oil inside, a mixture of water and sugar, the bamboo has been steam-treated to take out the oil and avoid decay. 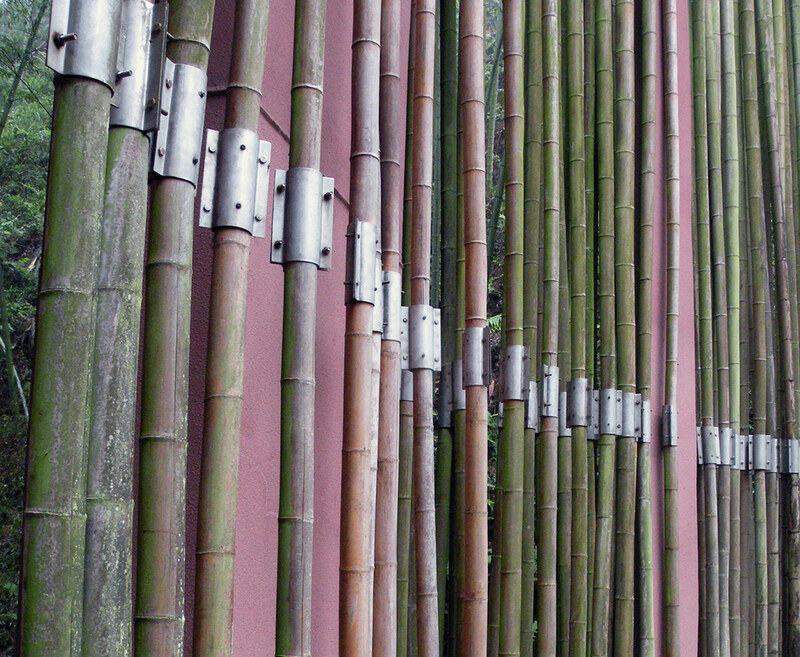 Since the local equipment only allows the bamboo to be steamed to a maximum length of 6m, it must be divided into two parts, 5.5m each. 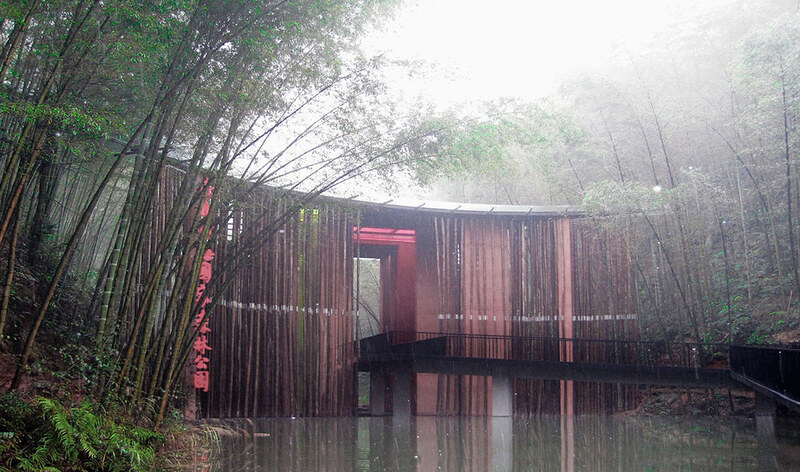 A water pond, built under the gate, helps create fog due to the differing temperatures, especially in the early morning and sunset or during winter and rainy days. 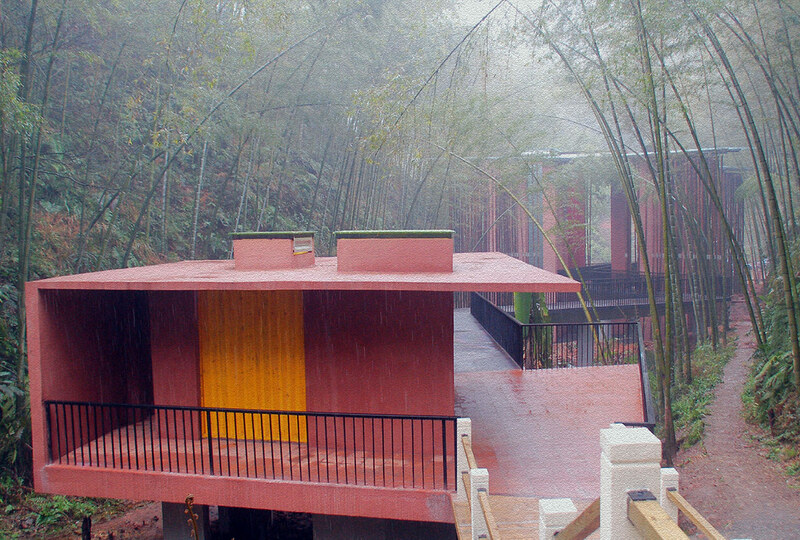 When sun and fog happen at the same time the gate looks completely embedded into the Bamboo Sea. 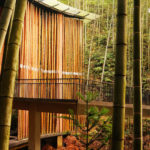 The architecture is based on a full understanding of the character of the Bamboo Sea and aims to play with weather elements. 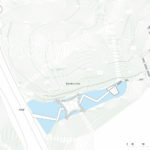 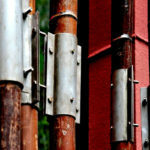 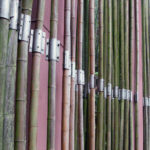 Cite this article: "Bamboo Gateway / West-line-studio," in ArchEyes, December 13, 2016, http://archeyes.com/bamboo-gateway-west-line-studio/.